Ulster Unionist MP Tom Elliott has said that he is “leaning towards” voting to leave the EU, but is not totally decided on the issue. Despite the UUP endorsing a Remain vote and his own concerns about the impact of a Brexit on the Union, the Fermanagh-South Tyrone MP said that “on balance” he was “probably” likely to vote to leave. The former Ulster Unionist leader told the News Letter that he had not been impressed by either of the two rival “negative” campaigns and would not be endorsing either. “It has been extremely negative stuff, most of it innuendo and what might happen,” he said. “I’m just going by how Europe has done for us so far. Mr Elliott said that he was still undecided on the issue, but was “leading towards” the leave side of the argument. “My most important concern about voting to leave is what it would mean for the United Kingdom, especially around the Scottish issue if they were to again try to leave the UK. Mr Elliott said that the EU system was “quite a burdensome process”, but that such a bureaucracy was difficult to avoid in a union of 28 countries. 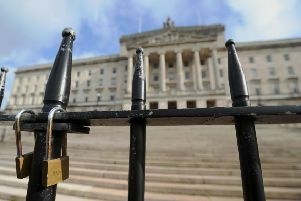 He added that the UUP contained a range of opinions on the issue, but said that was in common with other parties such as the Conservatives, Labour and even the DUP.